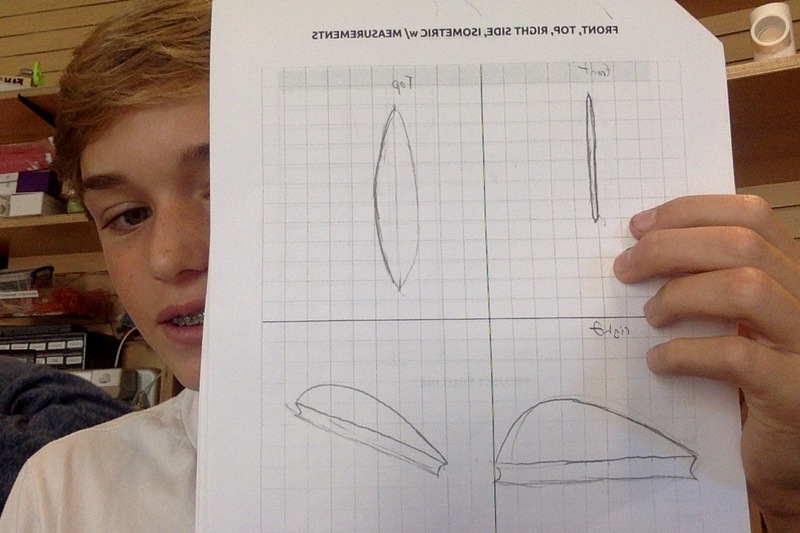 Project Description: We made a surfing fin using the 3D printer. Materials: We used 3D print plastic to make our fins. Tools: We used Tinkercad to complete our project. Nothing it was easy except for learning how to use Tinkercad. What was the most fun? 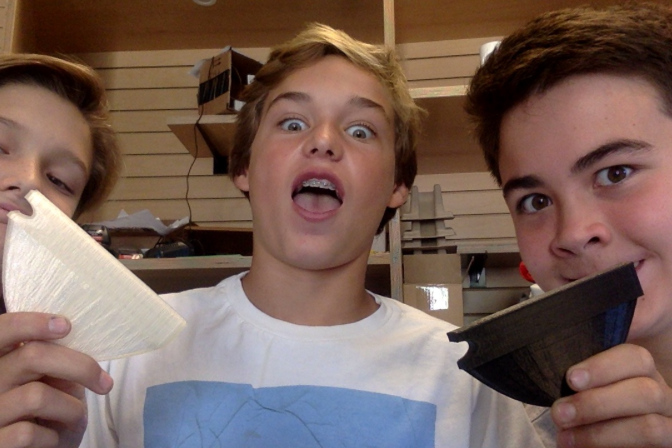 Having a good time making a surfboard fin with my pals. What did you learn by going through this process? I learned how to use Tinkercad. What would you change? : If you had the time and resources, what would you change about your project if given the opportunity? 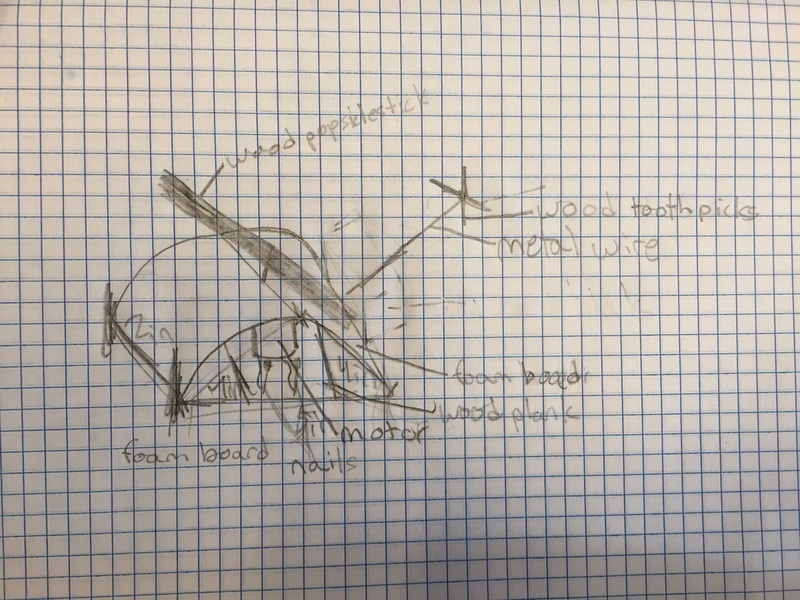 I would make our fin out of metal because it would optimize our performance. 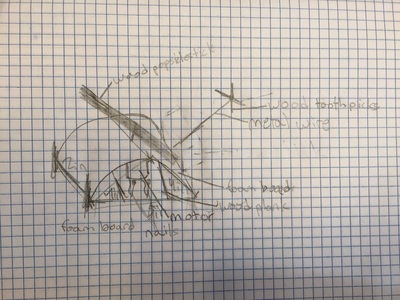 Project Description: Using motors and lights to create a project. 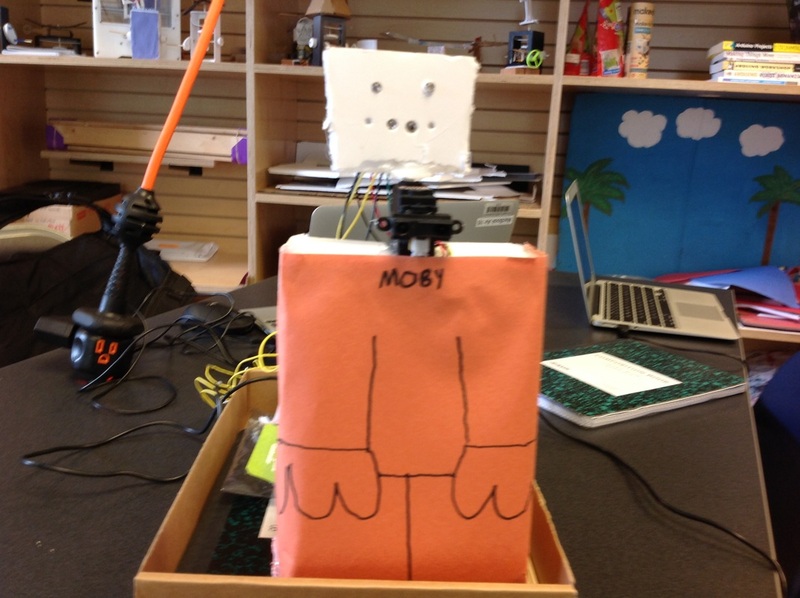 Materials: I used paper, Ipad box, lights, hummingbird, and motors. Any problem? We accidently deleted our project but we hit edit undo and the problem was resolved. What was the most fun? The most fun part of the project was working together. What did you learn by going through this process? We learned how to use the hummingbird to a more advanced level. Were there new tools you had to learn about in order to complete the project? The hummingbird was pretty new. In your attempts to make things work, did you find yourself trying new strategies or approaches? Our first attempt exceeded our expectations. What would you change? : If you had the time and resources, what would you change about your project if given the opportunity? I would have made it able to move fowards and backwards. Materials: I used wood, iPhone box, and styrofoam. 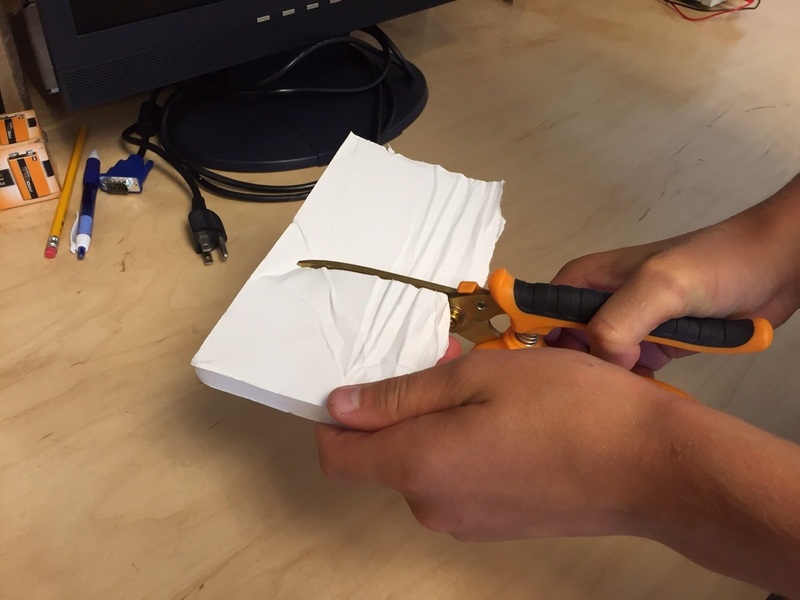 ​Tools: To complete this project I used scissors and hot glue. What was the most challenging part of the project? At first I made my spinning part too big so I cut it down with scissors. Then, it met my expectations. What did you learn by going through this process: I learned that if you do not have a bearing the automata will not work. At first it did not work because i made the bearing to high. I resolved that problem by moving it down. What would you change? The only thing that I would change would be to make it life size and out of wood. The order is drawing, beginning, me turning it on, and the final product. Project Description: What is the project about? 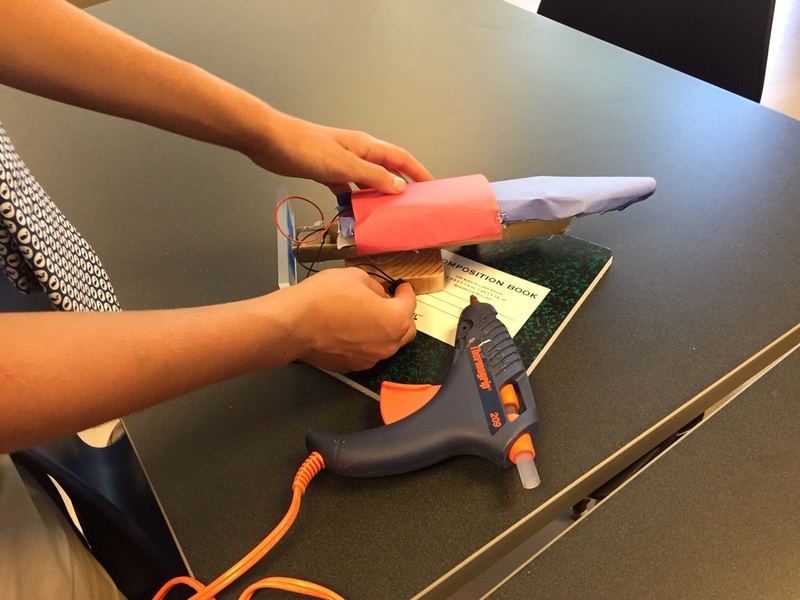 ; Building an object using a motor or LED lights, batteries, and/or a switch. 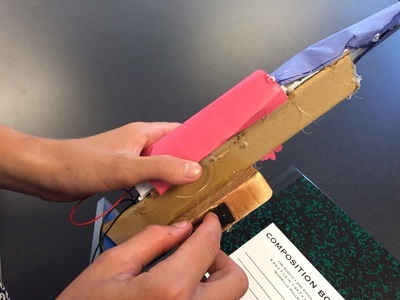 Materials: A Motor, battery, wood block, paper, cardboard, and a switch. Tools: I used a wire cutter, scissors, and a soldering iron. What did you do to resolve the problems you ran into? I took off the glue. What was the most fun? Using the soldering iron because it was a great feeling to be in control of something so powerful. What did you learn by going through this process? That a soldering iron can get very hot. Were there new tools you had to learn about in order to complete the project? The soldering iron was easy but fun to learn. In your attempts to make things work, did you find yourself trying new strategies or approaches? My project worked very well. What would you change? I would make it a real boat. I would make it out of carbon fiber. If you had the time and resources, what would you change about your project if given the opportunity? I would make it a real boat. To shoot hit the space bar. To move right use the right arrow to move left use the left arrow to go up use the up arrow and to go down us the down arrow GOOD LUCK!!!!!!!!!!!!! !